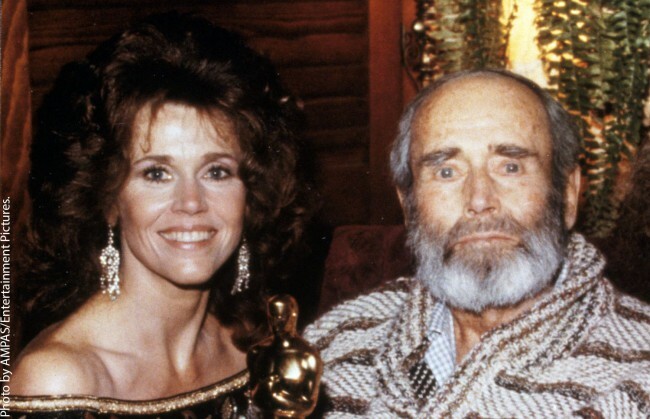 Although acclaimed actress Jane Fonda worked with her father Henry Fonda when she was 17 on the play The Country Girl, they didn't pair up onscreen until the Oscar-winning movie On Golden Pond (1981). Henry won the Best Actor Academy Award for his performance in the film, but was ill and couldn't accept it. Jane attended the ceremony and picked up the trophy on his behalf. It's worth mentioning as well that Peter Fonda, Henry's son and Jane's brother, is a two-time Oscar nominated actor in his own right and that his daughter Bridget is a Golden Globe-nominated actress who got her start in film when she shared the screen with her father in Easy Rider (1969).